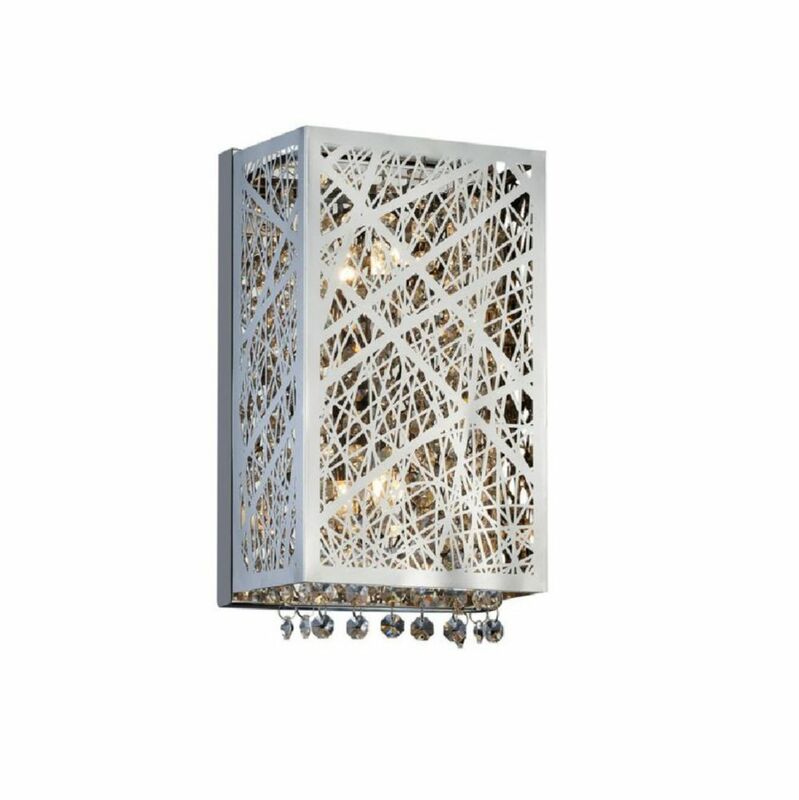 This breathtaking 1 Light Wall Sconce with Chrome Finish is a beautiful piece from our Eternity Collection. With its sophisticated beauty and stunning details, it is sure to add the perfect touch to your dicor. Curvaceously cut shades are audaciously pointed downwards in a display of omniscient illumination. The slender arc of the smooth arms demonstrates the fluid structure of the design, making the Dorado collection a classic representation of artistic mastery. Intricately styled with laser-cut plexiglass, the Royal collection is a bold statement for discerning tastes. Offered in black, clear and milky white, the Royal wall sconce illuminates brightly from a singular central light source. This wall sconce will update your home with its eye-catching design. Featuring a bronze finish this fixture will accommodate a variety of dicor styles. With its easy installation and low upkeep requirements, this wall sconce will not disappoint. Inspired by nature, this one light wall sconce is sure to inspire your home. It comes with a scroll vine and leaf motif in a burnished copper finish. Amber glass adds to the appeal. Requires 1 medium base bulb. 60 Watt maximum (sold separately). Eternity 4 inch 1 Light Wall Sconce with Chrome Finish This breathtaking 1 Light Wall Sconce with Chrome Finish is a beautiful piece from our Eternity Collection. With its sophisticated beauty and stunning details, it is sure to add the perfect touch to your dicor.